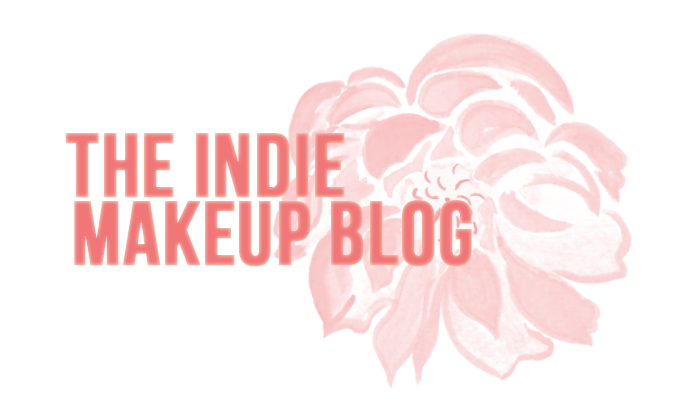 If you're here reading this post, you are probably aware that indie makeup is a great avenue for finding unique eyeshadows for an affordable price. Most of these products come in a loose powder form. While there's absolutely nothing wrong with loose formulations, there are a lot of benefits to pressing your eyeshadows. I personally find that it saves me time and is much more storage efficient. 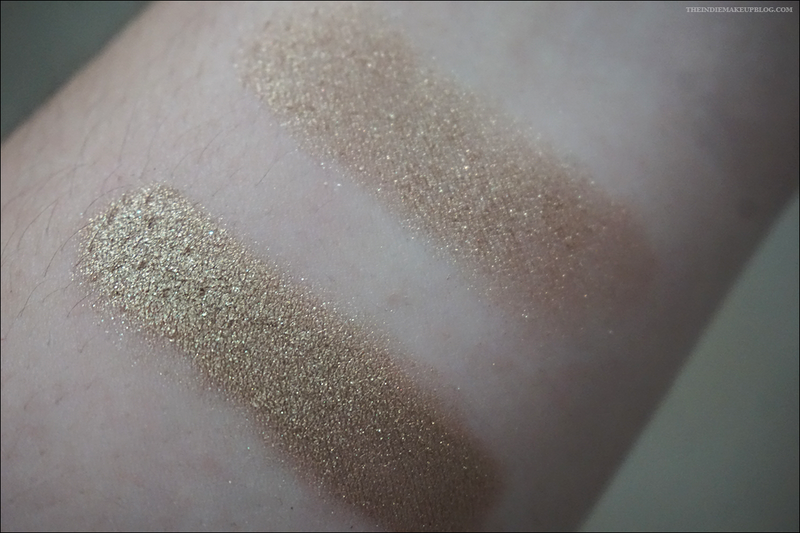 Some of my shadows have actually improved in pigmentation since pressing. Additionally, it's much easier to take a palette with you if you're traveling as opposed to carrying multiple jars of product. I know a lot of people are hesitant to get into indies because there is a lack of pressed formulas so hopefully this will inspire you guys to take a dive in! Shimmery and metallic formulas take very well to pressing, while it is usually recommended to avoid pressing matte formulas. I've occasionally seen others press their mattes successfully but as a general rule they don't take too well to the process. 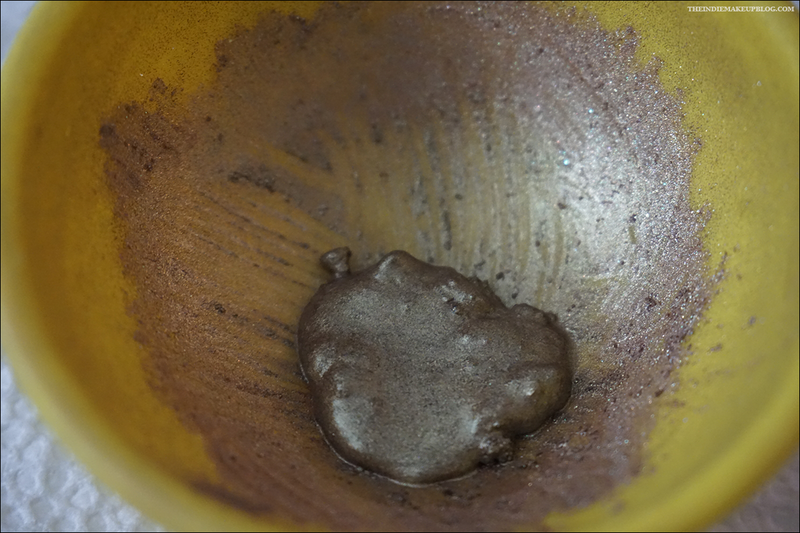 Ferric Ferrocyanide is another ingredient to be wary of. FF is usually found in greens and blues. My general rule of thumb when it comes to Ferric Ferrocyanide is as long as it's not in the top 3 ingredients, I still press the shadow but your mileage may vary. I've had good luck with this rule thus far. Certain brands will vary slightly in terms of formula and product size, and as a result may need more or less binder. 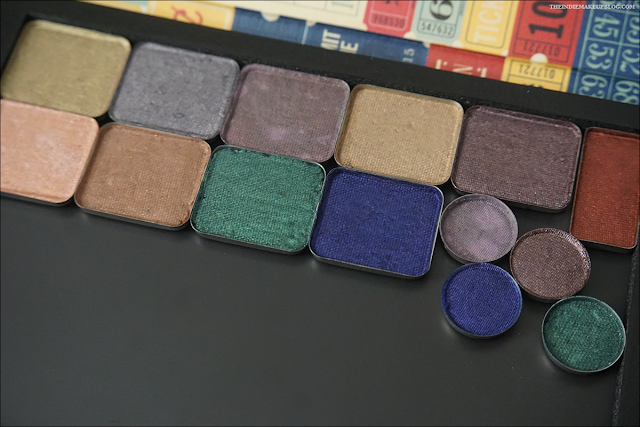 For example, many Fyrinnae eyeshadows purchased after the 2011 reformulation already have varying levels of binder in them so you may have to play around with your ratio (their sparklier shades have more binder compared to the satin shades.) The formula recommended below has worked successfully with my eyeshadows from Femme Fatale, Shiro, Darling Girl, Geek Chic, Ten Three Labs, Hello Waffle, Corvus, AFK, Dreamworld Hermetica, Notoriously Morbid, and Aromaleigh. The eyeshadows you'll be pressing. Pans. These come in a variety of sizes. 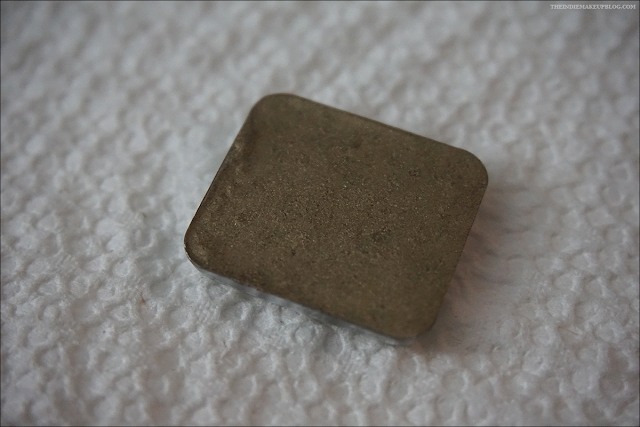 I recommend 15mm pans for samples, 27mm x 17 pans for minis, and 26mm round or square pans for full sizes. I ordered my pans, as well as most of my supplies from TKB Trading. Silicone-based binder. 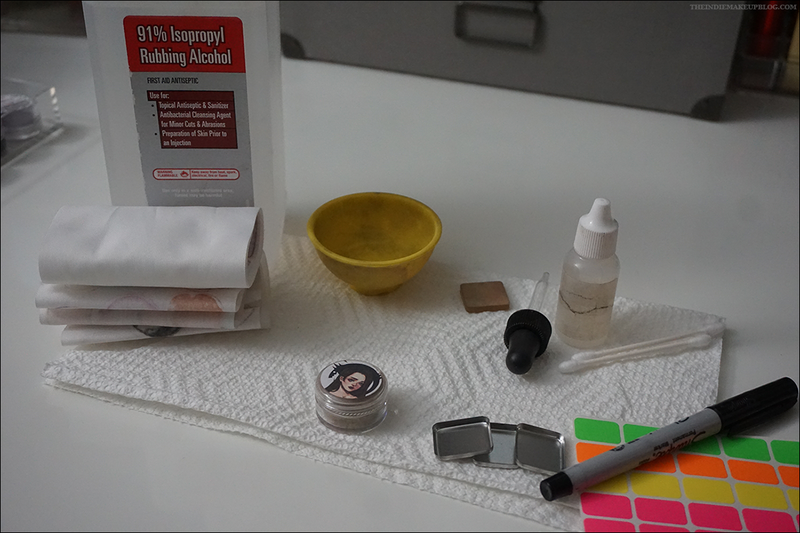 I recommend TKB's Press-It Binder although others have had great luck with Jojoba Oil or even Silicone-based lube! 91% Rubbing Alcohol. You could use 70% but I prefer to use 91% since I don't have to wait as long to actually press my pans. A mixing bowl. I find it easier to use pinch bowls that have some bend to them. I got mine from Amazon here. Tamping tool. 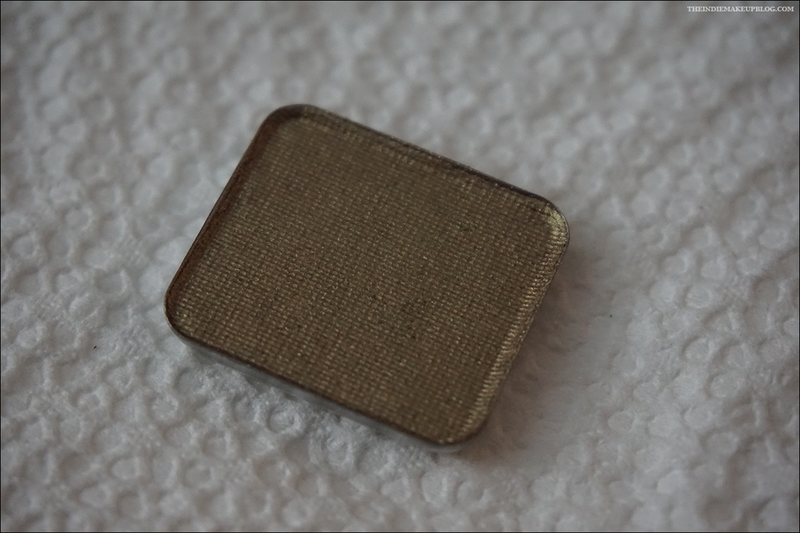 If you decide to use 26mm circle pans, you could also use a quarter. Pressing ribbon to create a design on your eyeshadow pans. A dropper to distribute the alcohol. Paper towels to help clean your workstation tidy and to clean out excess leftover product from your mixing bowl. Preservative. I highly suggest using one so your shadows last. The last thing you want is your pans to grow mold a year from now! I ordered mine from TKB. Measuring Spoons. I don't find them necessary personally because I press based off of the jar sizing but you may find them useful if you want to press say, just 1/4 teaspoon of product. You may also want to have label stickers and a marker on hand to label your pans. Small cosmetic scissors. I like to have a pair on hand to cut down labels and to help remove jar sifters. First you'll want to assemble all your products and make sure you sanitize everything. That includes your pans, your tools, and washing your hands! Take a Q-Tip dipped in alcohol to sterilize your pans and let them fully dry. Once you have that done, it's time to get started! 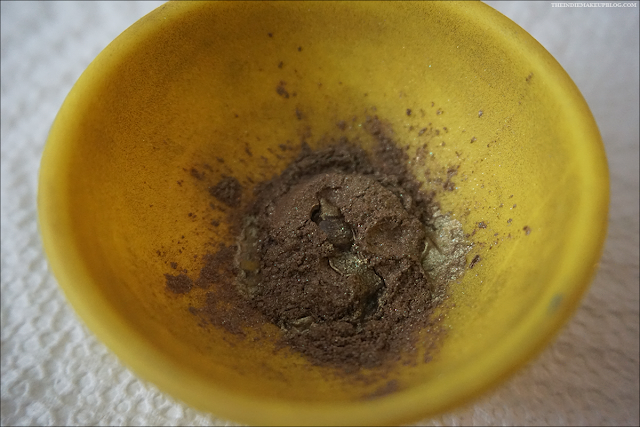 Start by pouring your eyeshadow into the bowl. The amount of alcohol you'll want to add will depends on what size product you are pressing. Here I'm pressing a full size jar of Hello Waffle Sloth so I added about 10 drops of alcohol along with 2 drops of binder. From there, grab your stirring tool and begin mixing. You should begin to see the product clump up. Continue to mix while adding more alcohol as necessary. 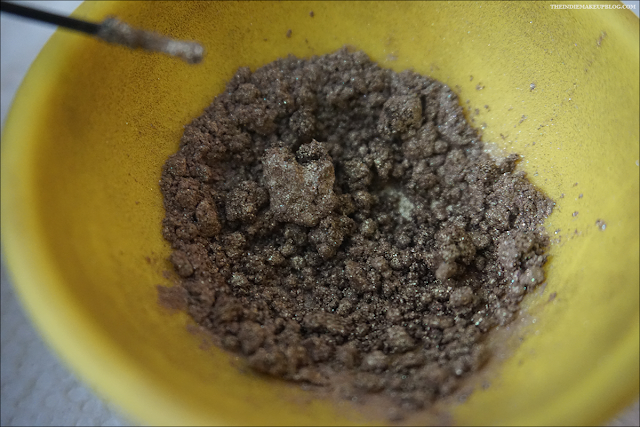 Once you get a wet sand-like consistency, you're ready to pour it into your pan. If you add too much alcohol, it'll just take longer to dry before pressing. If you add too little, it'll make it harder to get a clean impression on the surface of the pan later on. Pour your eyeshadow into the pan. 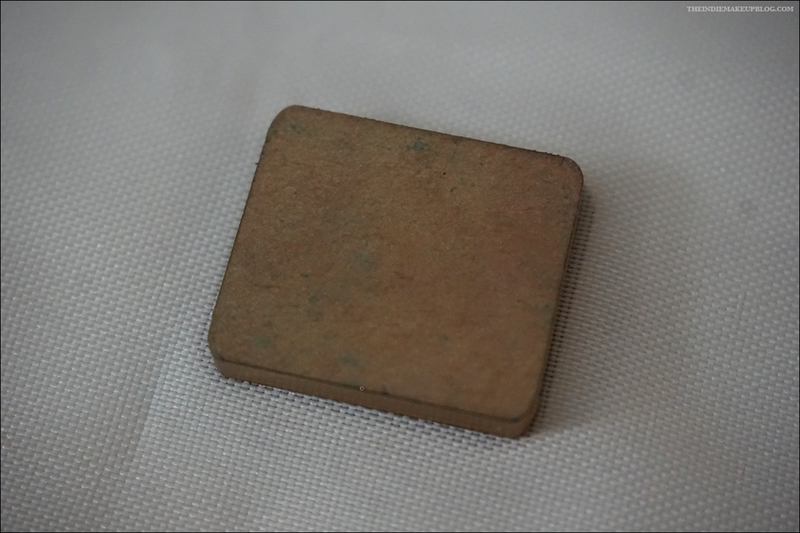 For full size eyeshadows, I prefer to use the large square pans since they fit best in my palettes. Use your stirring tool to spread out your mixture along the pan, ensuring that the corners are filled. To smooth out the texture of your pan, gently pick it up and drop it against your table several times. This will help with getting rid of any funky ripples or air bubbles on the surface of the pan and helps distribute the product evenly. Put your shadows aside and wait for them to dry a bit. Since I use 91% alcohol, I usually only wait about 45 minutes or so. 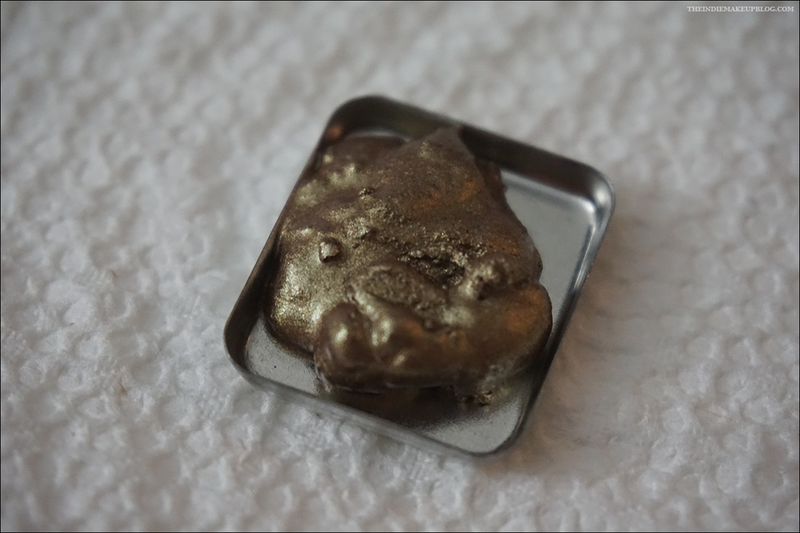 You may find that some brands tend to be more generous with quantity so I like to press any excess mixture into 15 mm pans. 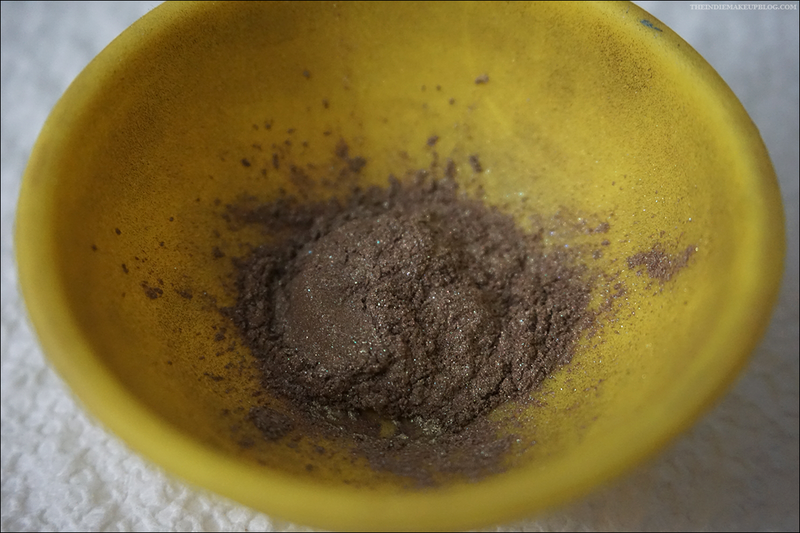 You can also leave some in its powder form if you like to foil your shadows to create custom eyeliners. Take your pressing ribbon or decorative cloth and lay it over the pan. With your stamping tool, press forcefully against the pan. I usually do this 2x for a full pan just to make sure the product is really packed down. Voila! You have officially pressed your shadow. As you can see, using a pressing ribbon leaves a nice indented design on your pan but you can also use a paper towel if you don't have a ribbon. HW Sloth swatched over Nars primer on the bottom, bare skin on the top. Here's my palette closed. I purchased this one from MiniMint. I will be doing a more detailed comparison of my pressed palettes in another post but this one is one of my favorites. And here it is opened with all the shadows I pressed today! After pressing your shadows, I recommend waiting a day to use them. I know it's hard waiting but this just helps to ensure that the pans have completely dried. One tip I suggest if you are looking to press your collection is to pick up a variety of different sized pans. Samples are perfect for 15mm pans, while I love to use 27mm X 17mm pans for minis. Not every eyeshadow will need the large pans so this will help you save space in your palettes. One warning - pressing can get so addictive! I personally go through phases where I won't press anything for a while and then all of a sudden it's PRESS ALL THE THINGS! I find it to be a pretty relaxing activity and I love looking at the end result. It'll take a few goes to get it downpact but you'll eventually get good at discerning which shadows can press well and how much each brand will need in regards to binder ratio. I hope you found this helpful! If you have a specific color you're unsure about pressing from one of the brands I mentioned from above, leave me a comment and I'll let you know if I've pressed it and how it took to the process! I just ordered a pressing kit to try this, so now your post has me even more hyped! Do you have any experience with pressing Shiro Beyond The Face, Gems Are Outrageous, and Lingered In Twilight? I love them but would hate to have them be a bust pressed. How exciting! I haven't pressed any of those, although I've heard Lingered in Twilight is hit or miss when pressing. I haven't pressed a ton of Shiro colors but I've had good luck with Diggy Diggy Hole, Alkahestry and Perfect World. I go by the recommended amount from the TKB website which is 0.1% - 0.2% by weight and add it to my bottle of binder! Ahhhhhhh. 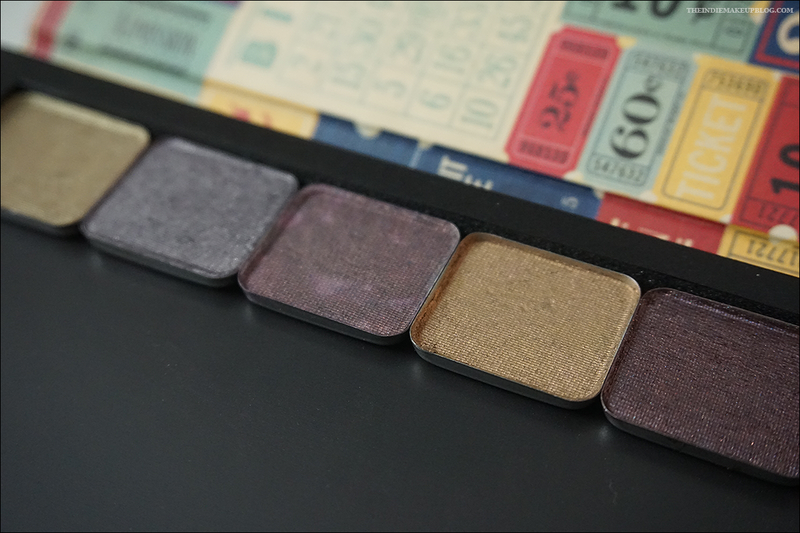 This is such a great tutorial, and I think I've finally plucked up the courage to press some of my eyeshadows! I ordered my TKB stuff and now the waiting game begins. I'm trying to go all indie for my eyeshadows, but sometimes when I'm rushed in the morning I just can't be bothered to open drawers and unscrew lids. 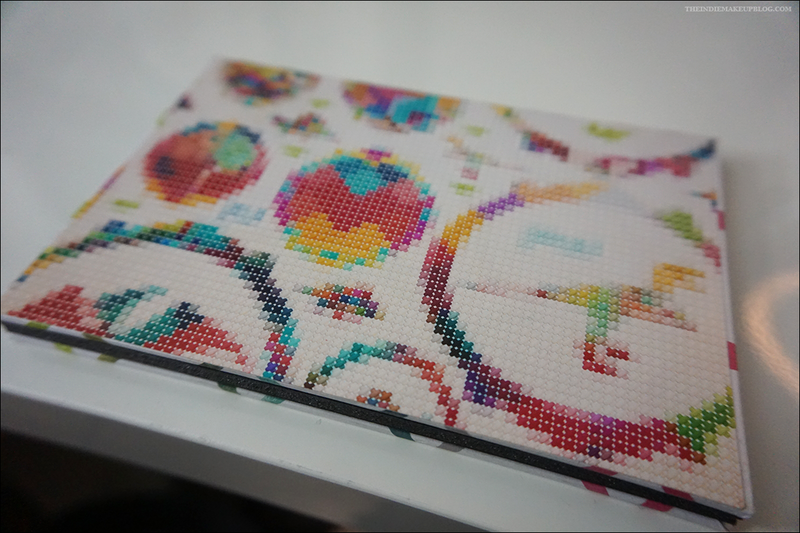 A palette will be much more convenient! 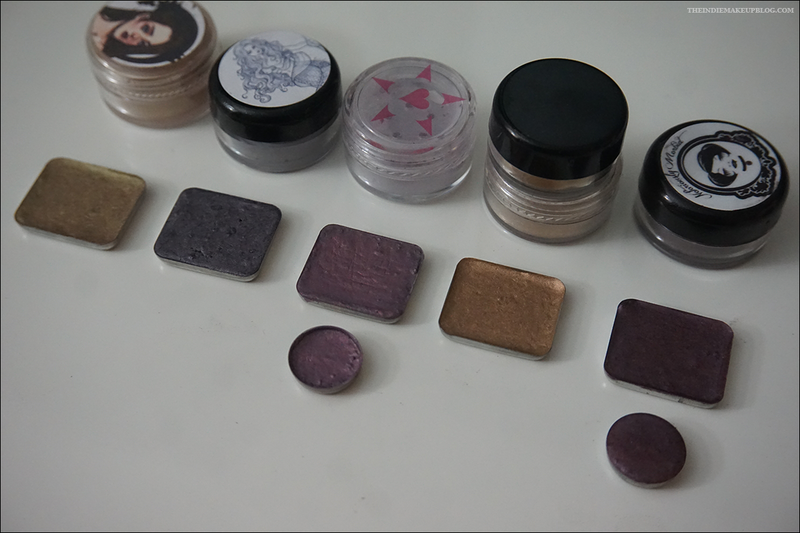 I think I'll probably start with my non-LE Shiro shades and then work my way to other brands. Shiro is by far the brand I have the most full sizes from! Starting with some of your unused or unloved shadows is a great way to start! FS Shiro eyeshadows usually yield a 26mm pan and a 15mm pan for me. Good luck with your pressing adventures! What preservative do I use? I've just ordered everything I need but I forgot that. Thanks for this detailed post! This is a great post- so helpful! I pressed a bunch of MAC pigments for the first time into individual pots, and now I wish I had put them into a pan for a palette. Can I re-press them? Would i just scrap them out into a bowl and start over or just add rubbing alcohol? Hello! I have some Bare Minerals loose shadows I would like to try to press. Would this tutorial work for them? Would I still need to add preservative? What about binder?